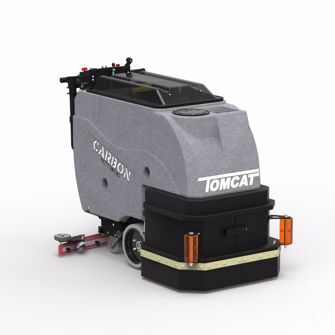 Tomcat’s Carbon floor scrubbers are a top choice among consumers because of their long battery life and unparalleled cleaning power. It would make a great addition to just about any facility – school systems, healthcare, warehouses, grocery, retail, airports – and it fits in your supplies closet! 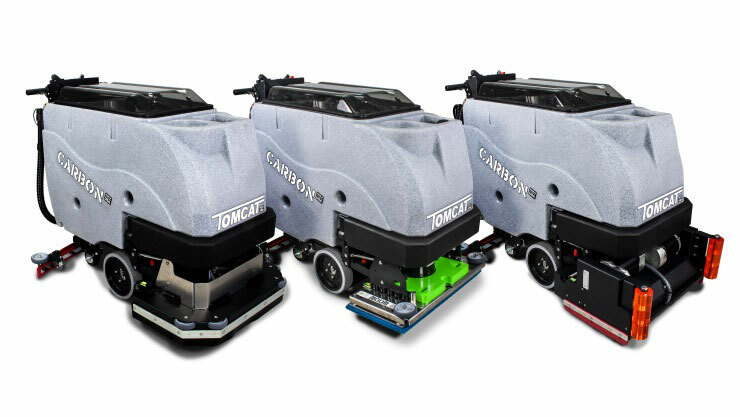 Floors can be caked in dirt for years but are no match for this commercial scrubber. The Carbon has large diameter, heavy-duty tires built for durability since you can clean for 3.5 hours continuously. It is available with a Traction drive that includes a powerful all-gear transaxle to make climbing ramps easier and operation effortless. You can choose from three different scrub head types, all with different features and benefits. Cylindrical – Has superior grout cleaning abilities, it can scrub and sweep simultaneously and eliminates dust mopping. Dimensions (LxWxH): 52" x 22" x 40"
Scrub Path Width: 25" and 29"